First Bus will no longer use Falkirk bus station. First Bus announced earlier this week that it is to make significant changes to several of the routes in its Falkirk network. This includes no longer using Falkirk bus station as it is no longer ‘fit for purpose’ and stopping the direct link to the Gyle Centre. 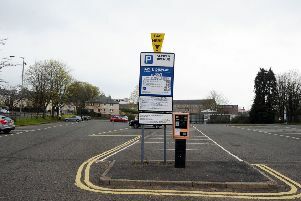 However, there will now be more connections to busy locations such as the Central Retail Park and Stenhousemuir Asda. The changes to the services, which come into operation on August 20, understandably provoked some strong reactions on social media. Here are a selection of your comments from our Facebook page.